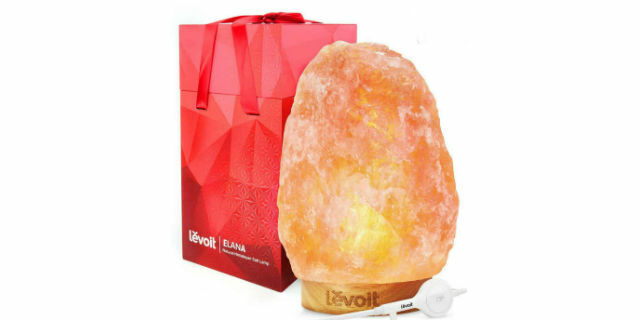 Levoit Himalyan Salt Lamp Only $23.75 Shipped! Sale on Levoit Himalyan Salt Lamp! Head to Amazon.com and purchase this Levoit Himalyan Salt Lamp! It is regularly priced at $70.00, but on sale for only $25.00. Plus, clip the 5% Off Coupon below the price to score it for only $23.75 shipped! You will not want to miss out on this incredible low-price deal. Everything is thoughtfully designed—from one of the best hand-selected Himalayan salt crystals, to the dimmable touch-control cord, to our safety certifications (the power cable is UL-listed, FCC & ROHS approved). The base design isn’t undersized or overlooked, so whether you choose from this Levoit salt lamp series or another, it’s sure to be a mindful and chic fit in your space. Calling all readers! Head to Amazon.com and purchase this Levoit Himalyan Salt Lamp for just $23.75, normally $70.00! The top-notch and beautifully made touch dimmer switch allows you to tap and hold to brighten or dim. The cord is UL certified, freeing you from a potential fire hazard. Levoit has not been involved in any of the recent salt lamp recalls. Let us know what online deals you’ve found lately, because we love to hear from our readers! **Buy this Levoit Himalyan Salt Lamp for just $23.75 shipped! Previous articleStart Savings On Home Fragrance Today! Renuzit Only $0.67 Each! Next articleLineon 100 Pack Gel Pens Only $13.99 Shipped!